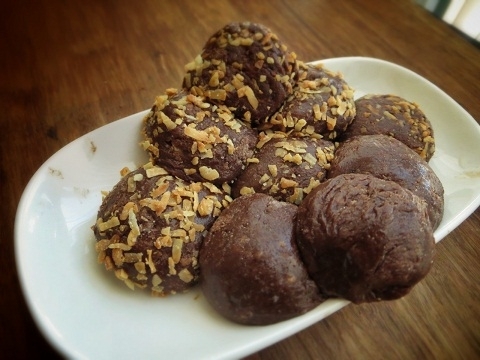 These high protein truffles taste like quest bars! NOTE: I used vanilla protein powder in this recipe, but I'm sure chocolate would work as well. Plus it might make it more chocolatey! Add water slowly (you may need to add more/less water depending on your protein powder) You want the mixture to be slightly sticky, and firm. Roll into balls and store in the fridge or freezer.